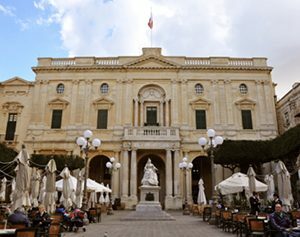 Situated in the centre of Valletta, the National Library is one of the major treasures of the Maltese Islands. 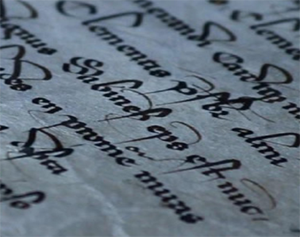 It is a reference and research library preserving the memory of the nation with collections that span the centuries from medieval times to the digital age. 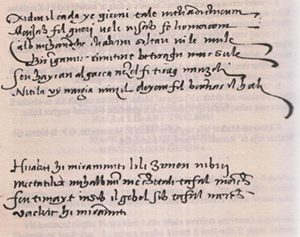 As the guardian of the written memory of Malta for current and future generations, the National Library promotes research and makes its vast collections available to researchers and visitors alike. The Vatican Archives is the central repository in the Vatican City for all of the acts promulgated by the Holy See. The Pope, as Sovereign of Vatican City and having primal incumbency, owns the archives until his death or resignation, with ownership passing to his successor. The archives also contain the State papers, correspondence, papal account books, and many other documents which the church has accumulated over the centuries. 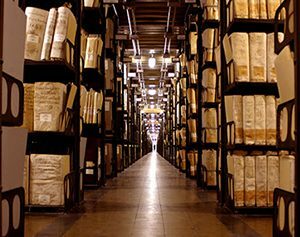 The Archives of the Archdiocese of Malta contain diocesan records from 1531 to 1898 along with some miscellaneous items dating from 1450 to 1928. These documents are housed in Floriana. 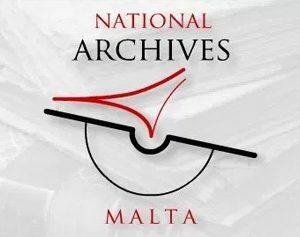 The Notarial Archives is currently located in St Christopher Street in Valletta, and houses over 20,000 registers containing notarial records, the earliest dating back to the 15th century.